This week was our happy new year… guju people’s ka new year..
New year was rather funny, just came back from a trip, rest all gone for holidays so lots of work to do at home. Day we landed all I managed to do was groceries and laundry. Early morning around 4 ish I finally decided to take the medicine, taking the advice from the old add…no other option citrizien leni pade gi..Anti allergy medicine solves the problem at hand but it creates a bigger problem later, i feel sedated all day. Waat lagne wali hai new year ki I thought and passed out.. thought kal ki kal sochen ge…hopefull aal izz well tom. Sochete sochete…morning… was woken up at 10.00 a.m. with a door bell and an headache from the medicine. Well rashes gone but new musibath..feeling drowsy..and giddy..
Then after lunch, told husband to take over and entertain our son, so I could go back to my Limbo sleep ( from inception) as medicine was still making me drowzy. Before hitting the bed I ask daddy on duty, if he needed anything as I point out once I hit the bed I shall not be able to get up.. he assures all is taken care off.. I fall flat on the bed..lost in some dark world as I don’t even remember any of the dreams just blank out, nothingness..
Then suddently son has lost interest in the cartoon, he opens the draps in the room, sunlight comes directly on my eyes..some negotiations are happening with father son, he refuses to shut the drapes .. papa trying to discipline him ..I hear howling.. i feel something like an earthquake, turns out son is howling andshaking me and husband is asserting that the drapes are to be shut. Finally Mr. Baby sitter decides to take him out in the living room to play.. hash! Peace in room to sleep.. I sigh my husband to get his milk, till then I am patting him to sleep in no rhythm, one two pats went to the pillow next to him, milk has arrived, he gets up drinks his milk, sleeps, now we both passed out.. I am fresh a flower as med wasout of the system, I felt like I was back, son was also in full festive mood ..
Family time, crackers , food, chit chat and laughter..what more do you want in life..
that was my new year day..a day when I could not finish anything nor could cook much nor could finish the book I decided to finish before new years.. thinking hopefully the whole year will not go like this.. These days my son has started requesting me what he wants to eat,wah! It works well for me cause I love to cook. He has entered his Oedipus phase, in this I listen to Sigmud Freud and I let him have his fun. He will assert, ” mumma only cooks for me!” I let him believe his fantasy . 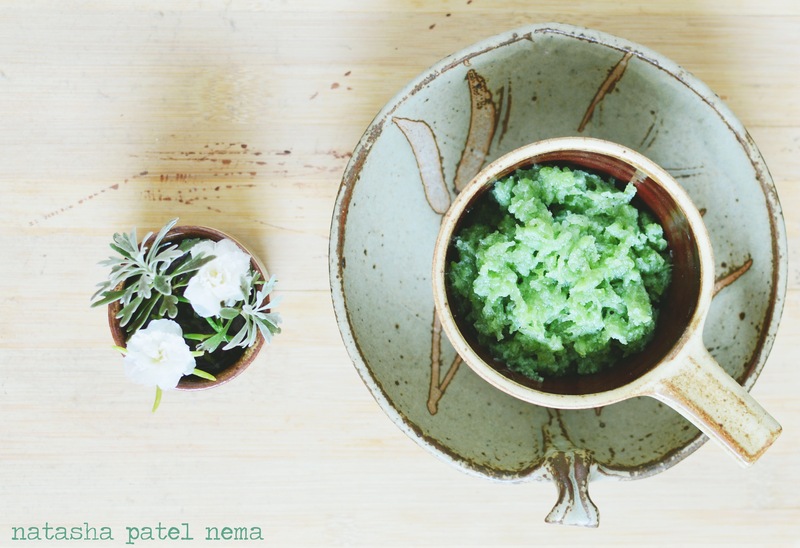 Few days back he requested he wanted to eat green halwa.. since it is new years I wanted to put something sweet on the blog.. This is a bottle gourd halwa, its very nutritious and also tastes yum. Once the bottle gourd is gratted, press it with both the hands and squeeze out all the water. Once that is done, immediately heat the oil in the non stick pan. Add all the grated bottle gourd and cook in on low heat till all the water evaporates.Keep on stirring Cook till about 5 mins. Mix properly. Add the milk, let it cook on a low flame. Keep on stirring. Cook for about 15 minutes till the bottle gourd is cooked and all the milk has evaporated. Add the mawa, sugar, food color and elichi powder. Mix well and cook till the sugar is melted. Take it off the heat and serve. wow – this is deeply interesting, exciting and healthy information….